Move zip file into /var/www/wordpress and extract. Modify wordpress.conf so apache2 knows to forward any request or your domain to the wordpress app folder. Go to PhpMyAdmin via your browser by youdomain.com/phpmyadmin . Create a new user “wordpress” and check to create the corresponding database. Modify config file to add your MySQL wordpress database information. Open browser and type in your domain. You should see wordpress installation page. Follow the instruction and you are done! Put wordpress files in a proper web folder. Edit and enable Apache2 config file to associate your domain to the wordpress files folder. 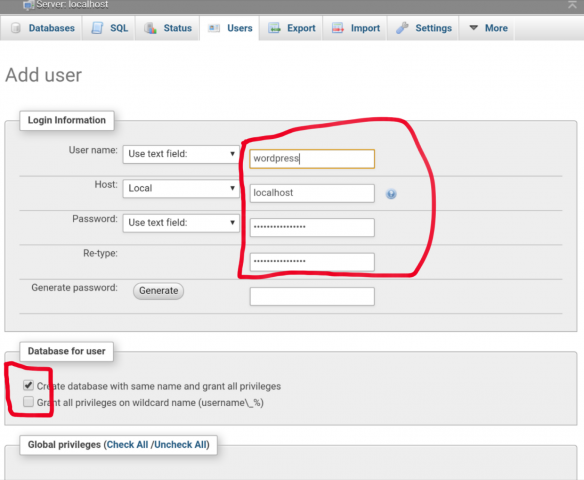 Setup a wordpress database in MySQL. Create and change wordpress config file so it can connect to its database in MySQL. Change files’ owner and permissions so we can change wordpress from its online admin panel. Steps #1,2,5 are generic for any web applications and for other web server besides Apache2. Steps #3 and #4 are generic for many web applications that use a database, even if it is not using MySQL. Thus, learning and understanding these steps gives you benefits beyond working with wordpress. The first step of creating a web application is to put the necessary files in a specific folder, so the web server can find it. WordPress download page as of 2016/09/05. This will copy the wordpress file latest.zip to your server’s user home directory. The files might be contained in a wordpress folder (/var/www/wordpress/wordpress). In this case just move the entire files from it into /var/www/wordpress and remove the folder /var/www/wordpress/wordpress . In linux many software is configured by editing a configuration file. For Apache2 it is no exception. The default apache2 config file folder is /etc/apache2 . In general the folder /etc is where linux stores software’s configuration files. Add a new site config file in sites-available. Assume it is called newsite.conf . Do the command to enable the new site: sudo a2ensite newsite.conf .You should see now newsite.conf also appears in the folder sites-enabled. ServerName tells apache2 to forward any HTTP requests that begin with your-domain.com to the web application. ServerAdmin just represents you the admin by your email. DocumentRoot tells apache2 where your web app folder is. The first one “publishes” the config file so apache2 will take it. The second one is to restart apache2 to make sure it takes into the new config file. 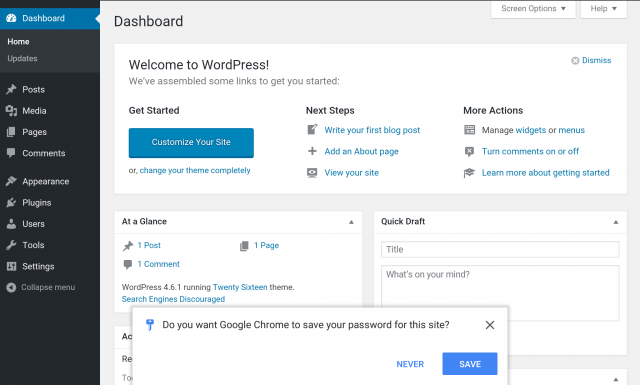 Since wordpress has an admin panel that enables wordpress admins (you) to change wordpress, we must give the wordpress file folder proper ownership and permission to do so. As we still need to create a wordpress config file for the database, we delay this step later. Create a new user wordpress with associated database wordpress. Write down the created user password. 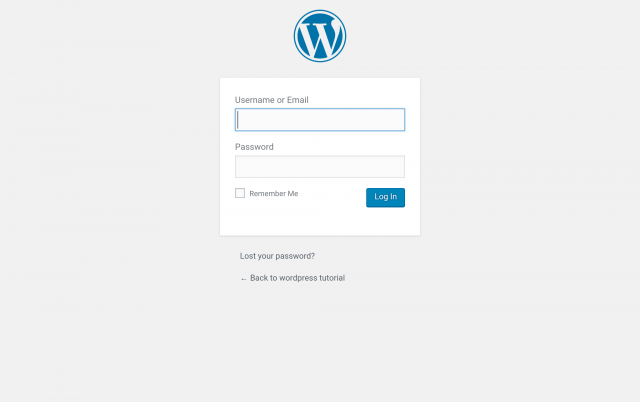 Create a database called “wordpress”. 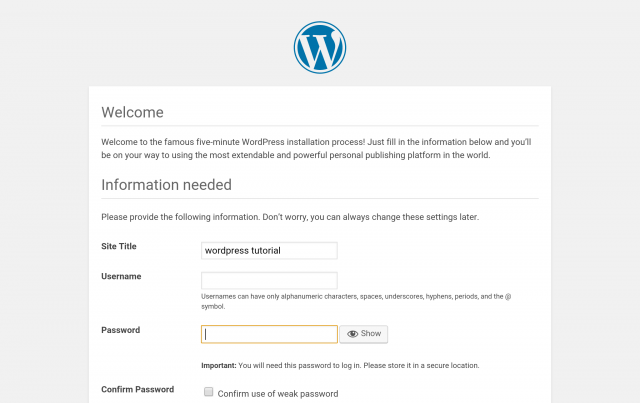 Create a user called “wordpress”. The user can read/write/create tables in the “wordpress” database but not others. Now the wordpress is ready to connect to your MySQL database! The first command changes the owner to www-data and group to www-data. www-data is the user/group of web server apache2. The second command is harder to understand. See chmod online page for more information. Now everything is ready except to install wordpress from the browser. 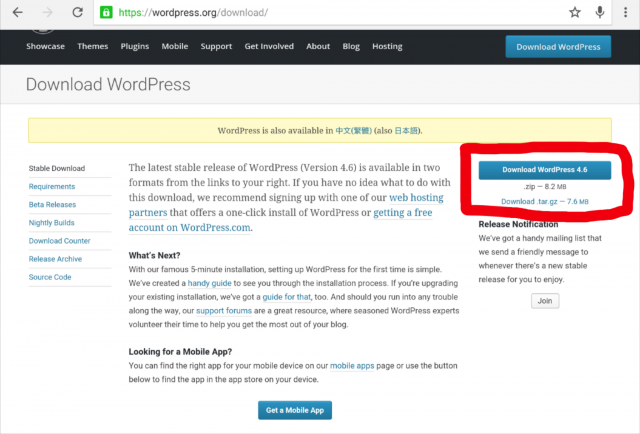 Open the browser and type your domain, and you should see the wordpress installation page. Simply follow the instructions and press “install”. 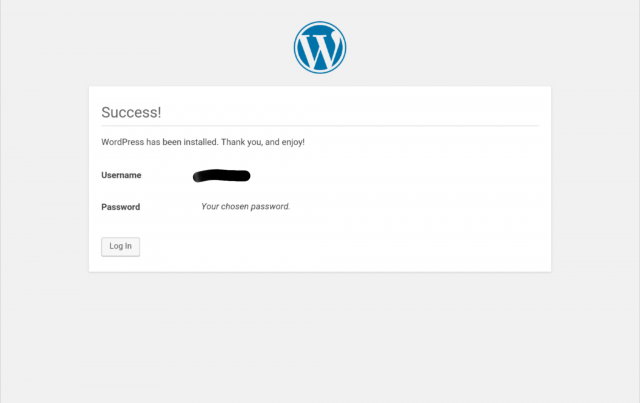 If you did all the previous steps correctly you should have wordpress installed within seconds!